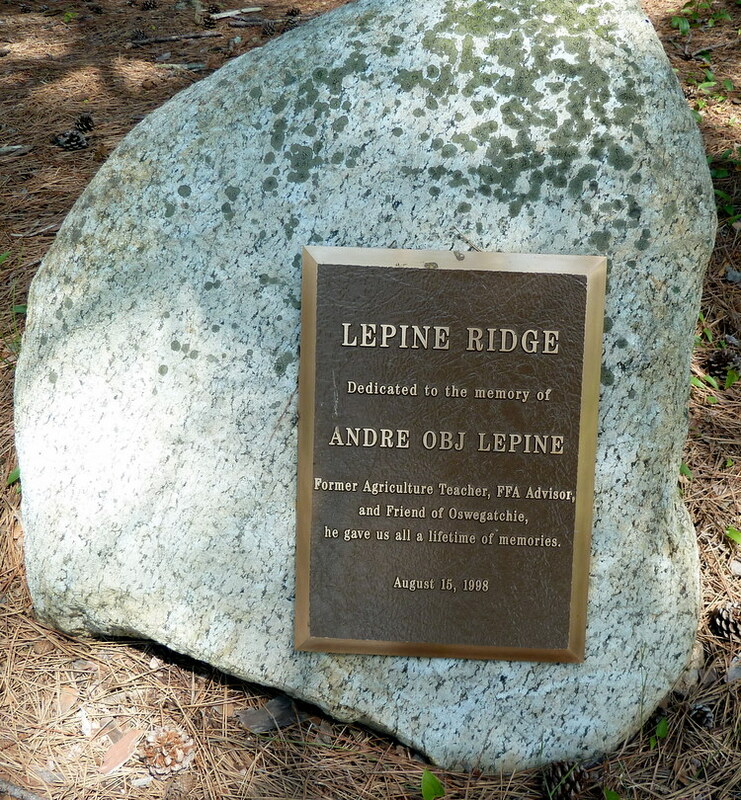 In 1999 the State of New York purchased 29,000 acres and an additional 110,000 acres of conservation easements from Champion International Corporation. This acquisition consists of three noncontiguous blocks, known as the Santa Clara Tract, Tooley Pond Tract and Croghan Tract, covering portions of ten towns in Franklin, St. Lawrence, Herkimer and Lewis Counties. 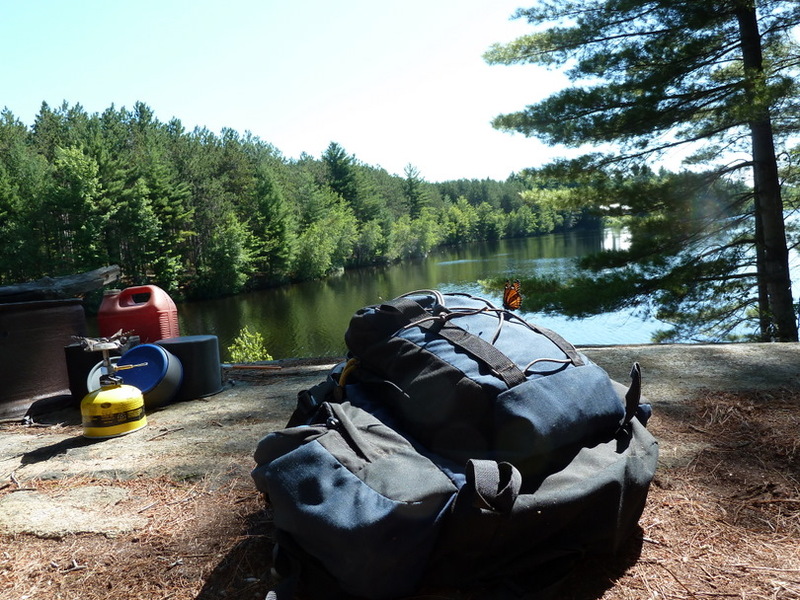 Skip and I explored the Croghan area and camped on night on Long Pond. 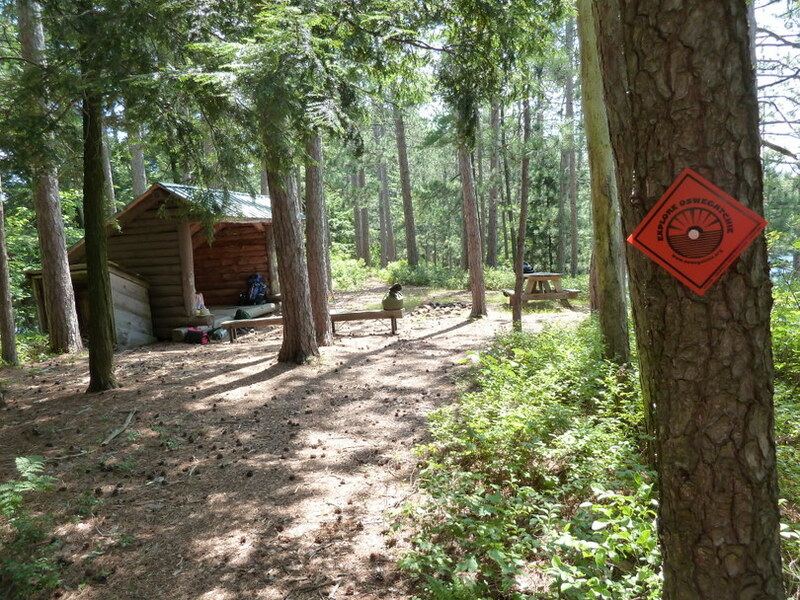 Barbara Martin’s Discover the Adirondacks series showed a shelter located on Long Pond. 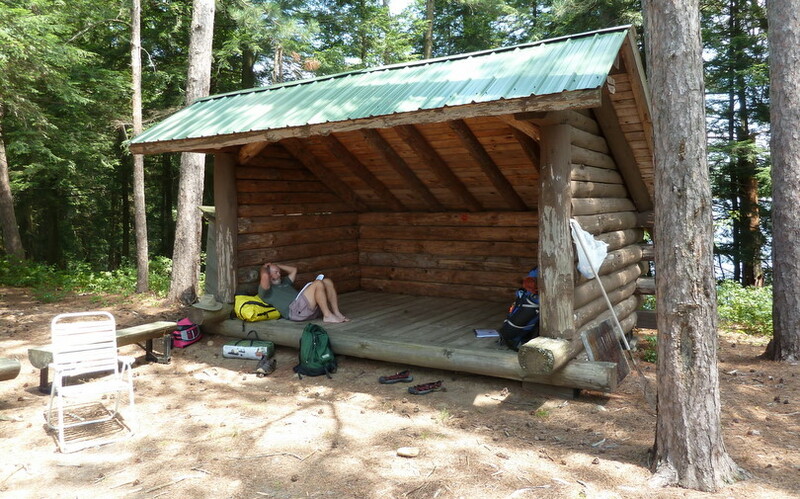 Skip and I used the public boat access on the south end of Long Pond and found the lean-to located above a sandy beach. It was too good to be true. The lean-to was immaculately clean with a stocked wood box. 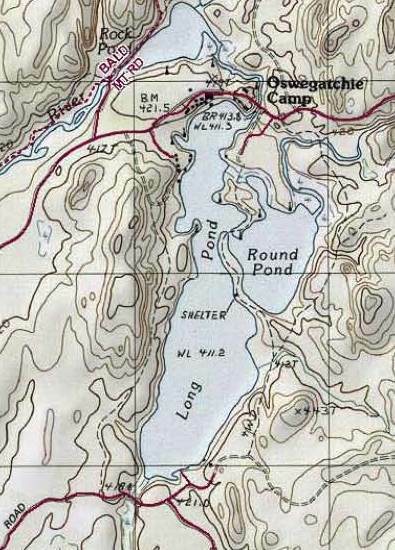 The lean-to was located on an esker between Round and Long Ponds. We spent the afternoon enjoying the cross breeze between the ponds and reading. I worked on editing my Guide to Winter Camping book. During the afternoon a family group of 10-12 came to swim at the beach below the lean-to. They admired the canoe and paddles, but did not venture up to the lean-to or spot us. After further examination it turned out the site and land were owned by the NYS Future Farmers of America (FFA). After dinner I was contemplating a swim before turning in when a group of boats with camp counselors came for a bonfire and swim. They stayed from 9-11pm and noticed our presence while hunting for wood. Skip and I decided discretion was in order and planned to depart upon first awaking. Sunday morning found me awake at 5am and us packed up and canoeing out by 5:30. We drove to Sand Pond and then along the Beaver River Flow to High Falls Pond where we spent the afternoon lounging on one of the island campsites. During the late afternoon we paddled upstream to Belfort. For dinner I made corn bread and heated up Dinty Moore beef stew. We went swimming in the evening and turned in early as the mosquitoes came out about 8:45pm. We slept well and had a slight shower as we awoke in the morning around 6am. We drove into Croghan for breakfast. I returned home to re-stock for our next camping trip. Skip left for Saranac Lake with plans to meet us Tuesday noon at Long Pond.